What does an Allstate - Northeast Region Business Opportunity Cost? Take charge of your future and enjoy the financial rewards you deserve! Allstate is looking for a select group of entrepreneurs and high achievers who want to run their own insurance agency as an independent contractor. As an Allstate Agent, you will have the freedom to run your own insurance agency, plan your agency's future, and be rewarded for managing a high performance business. Open Allstate - Northeast Region in any of these available states: CT, ME, NH, PA, RI, VT. 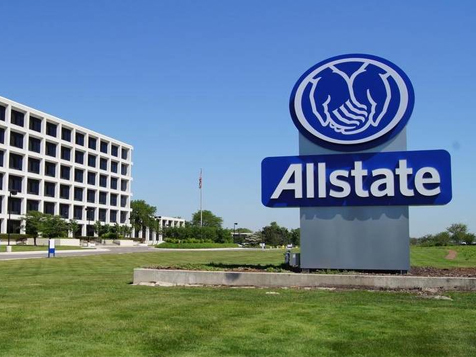 The Allstate Corporation is the nation's largest publicly held personal lines insurer. A Fortune 100 company, with $156 billion in assets, Allstate sells 13 major lines of insurance, including auto, property, life and commercial. Allstate also offers retirement and investment products and banking services. Allstate is widely known through the "You're In Good Hands With Allstate®" slogan. Allstate was founded in 1931 and became a publicly traded company in 1993. We're looking for a select group of entrepreneurs and high achievers who want to run their own insurance agency as an independent contractor. As an Allstate Exclusive Agent, you will have the freedom to run your own insurance agency, plan your agency's future, and be rewarded for managing a high performance business. Allstate is looking for qualified candidates who have at least 3 years experience or a solid business background. Sufficient capital is needed to start your own agency or to purchase an existing Allstate agency and a four-year college degree is preferred. Medium or high potential score on company administered Agent Selection Questionnaire is required. Candidate must have Property and Casualty and Life, Accident, and Health insurance license prior to assuming agent position. Allstate agents are not franchisees, rather they are exclusive agent independent contractors and are not employed by Allstate. You're on your own, but you're not alone.